HuntingClothesPro: Well, Who Would Have Thought This Would Happen! This gentleman was shed hunting and came across this coyote in a tree. It is a pretty cool to see and it offers the question what happen. 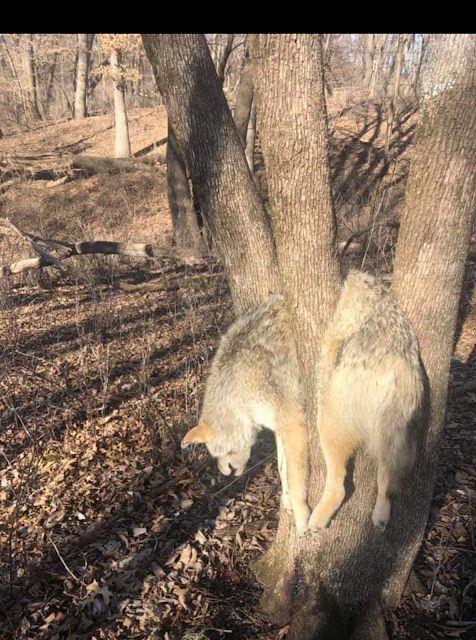 It could have been going after a squirrel, fell and got stuck or someone shoot it and stuck it there but then again if someone shoot it, who would really hang it in a tree most people would just leave it there. What are your thoughts? What do you think happened?